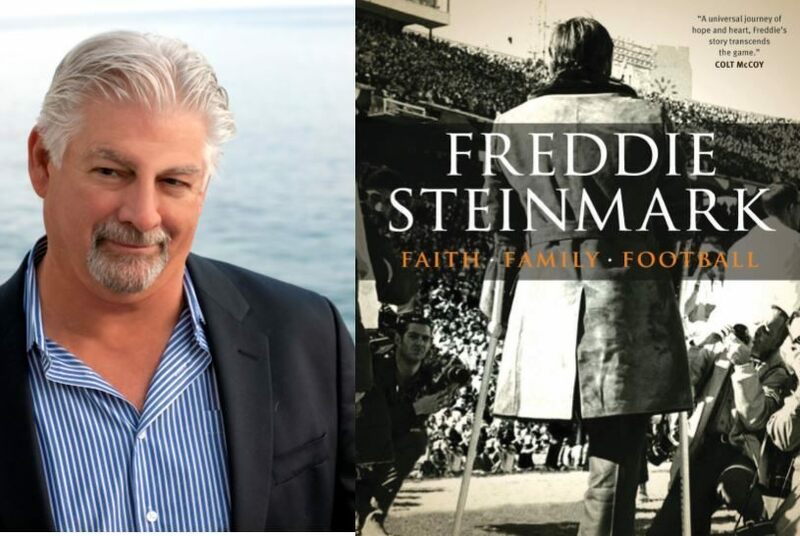 “My All American,” written by the same screenwriter as “Rudy” and “Hoosiers,” is about the short life of “Game of the Century” University of Texas football safety Freddie Joe Steinmark. Steinmark, who died at the age of 22 of cancer, was a member of the 1969 UT National Champion and Cotton Bowl Classic winning football team. The 5-foot-10, 166 pound Steinmark was a starting safety for UT as a sophomore and junior in 1968-69. Yousee said Steinmark was only the second sophomore Coach Darrell Royal ever started, and he was fearless. The Longhorns won 20 of 22 games during those years and two conference titles. Steinmark led the team in punt returns (25 of 177 yards) as a sophomore, and during his career, averaged 6.1 yards on 38 punt returns. 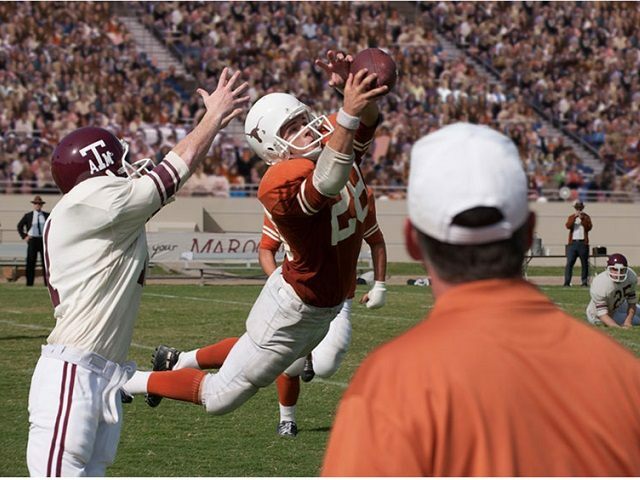 Steinmark played in the 1969 University of Texas Longhorn game against the Arkansas Razorbacks. It has frequently been called the “Game of the Century.” The Longhorns fought back on Razorback turf after being behind 14-0 after three quarters to win the game 15-14. This Longhorn football team went on to win the Cotton Bowl Classic and were selected as the national champions. Yousse told Breitbart Texas that Steinmark’s father always said, “If you aren’t going to play to win, don’t turn on the scoreboard.” The scoreboard at the Darrell K Royal-Texas Memorial Stadium was dedicated to Steinmark’s memory at a pre-game ceremony in September of 1972. Steinmark died of cancer in 1971 in Houston at the age of 22. Steinmark was diagnosed with cancer just two days after playing in the “Game of the Century.” His left leg was amputated just six days after playing the football game that would seal the 1969 National Championship. The Longhorn who wore #28 surprised everyone when he appeared on crutches at the 1970 Cotton Bowl game against Notre Dame less than a month after his surgery. Coach Darrell Royal and the Longhorns presented him the game ball after the Longhorns won 21-17. 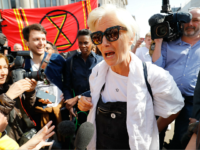 Yousee said the young man was in the public limelight and “reframed the conversation on cancer.” The press converged on Steinmark at the M.D. Anderson cancer hospital in Houston and his selflessness helped get the public talking about cancer. Back in those days, Yousse recalled, cancer was something people did not talk about in the way they do today. As a result, one of Steinmark’s legacies is that the U.S. Congress enacted the National Cancer Act of 1971, and in December of that year, President Nixon signed it into law. Yousse told Breitbart Texas that there is going to be a dedication to Steinmark at halftime at the UT vs. University of Kansas football game on Saturday, November 7th. 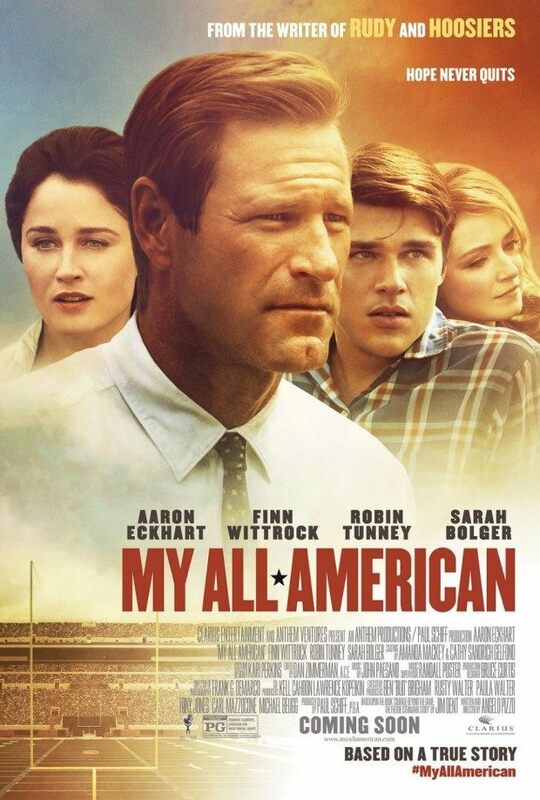 “My All American” opens in theaters on November 13th. Finn Wittrock plays Freddie Steinmark, and Aaron Eckhart has been cast as Darrell Royal.